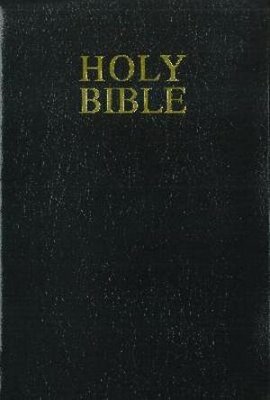 So many Christians have no idea what this book really says! If they did their lives would change. Read it, find a bible study to attend, something! Enough said. God designed men to be dangerous, says John Eldredge. Simply look at the dreams and desires written in the heart of every boy: To be a hero, to be a warrior, to live a life of adventure and risk. Sadly, most men abandon those dreams and desires--aided by a Christianity that feels like nothing more than pressure to be a nice guy. It is no wonder that many men avoid church, and those who go are often passive and bored to death. In this provocative book, Eldredge gives women a look inside the true heart of a man and gives men permission to be what God designed them to be--dangerous, passionate, alive, and free. Every little girl has dreams of being swept up into a great adventure, of being the beautiful princess. Sadly, when women grow up, they are often swept up into a life filled merely with duty and demands. Many Christian women are tired, struggling under the weight of the pressure to be a "good servant," a nurturing caregiver, or a capable home manager. What Wild at Heart did for men, Captivating is doing for women. Setting their hearts free. This groundbreaking book shows readers the glorious design of women before the fall, describes how the feminine heart can be restored, and casts a vision for the power, freedom, and beauty of a woman released to be all she was meant to be. By revealing the core desires every woman shares-to be romanced, to play an irreplaceable role in a grand adventure, and to unveil beauty-John and Stasi Eldredge invite women to recover their feminine hearts, created in the image of an intimate and passionate God. Further, they encourage men to discover the secret of a woman's soul and to delight in the beauty and strength women were created to offer. Erwin McManus wasn't raised in a Christian home, so when he came to Christ as a college student, he didn't know the rules of the "religious club." He didn't do well in Shakespeare courses, so he didn't really understand the KJV Bible he was given either. But he did understand that prayer was a conversation, and he learned to talk to God and wait for answers. Erwin's way was passionate and rough around the edges-a sincere, barbaric journey to Christ. Barbaric Christians see Jesus differently than civilized Christians. They see disciples differently, and they see Christ's mission differently. The Barbarian Way is a call to escape "civilized" Christianity and become original, powerful, untamed Christians-just as Christ intended.